Nestled deep into the majestic countryside of Eastern Oregon you’ll find the Jennings Hotel, a boutique hotel in an beautifully restored 2-story building in the town of Joseph. The much-buzzed-about hotel went about restoring one room at a time by selecting one designer per room and giving them total creative freedom to design their space. When Coil + Drift designer John Sorensen-Jolink was tapped to design one of the last untouched rooms in the hotel he jumped at the opportunity, having spent many childhood Summer holidays swimming in the nearby crystal-clear Wallowa Lake. 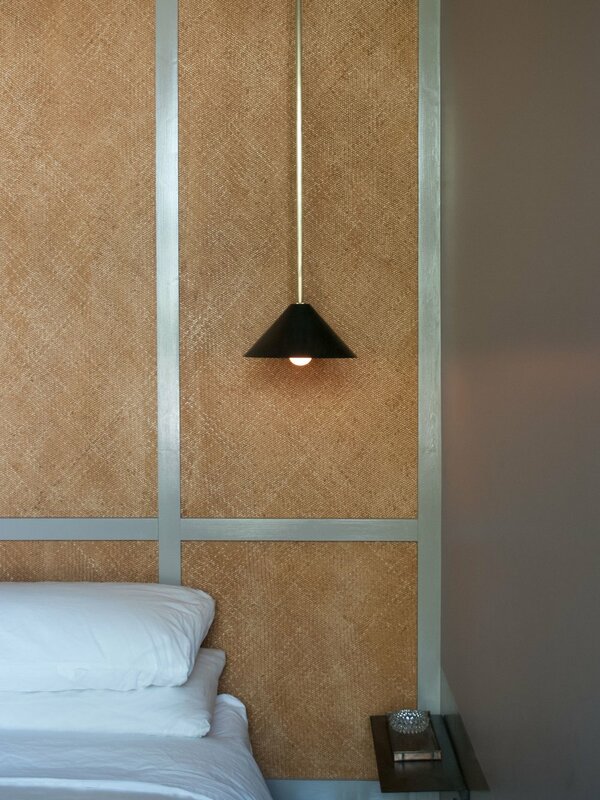 He decided to transformed the small room into a cozy den, painting the walls a rich grey and building a custom platform bed and covering a wall in woven cane. 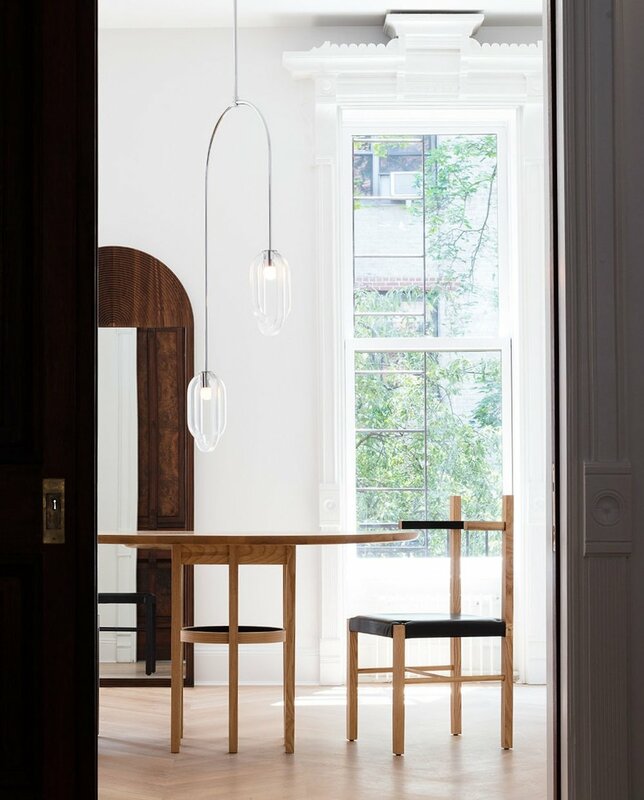 The space also features a custom-made lacquered desk and Soren chair, a June Mirror, and custom turned-brass coat hooks. Sorensen-Jolink sourced vintage accessories like a brass bean scoop and amber glassware from local antique shops. Keep an eye out this spring when the Jennings Hotel will open its final room, which will be designed by BDDW founder Tyler Hayes. 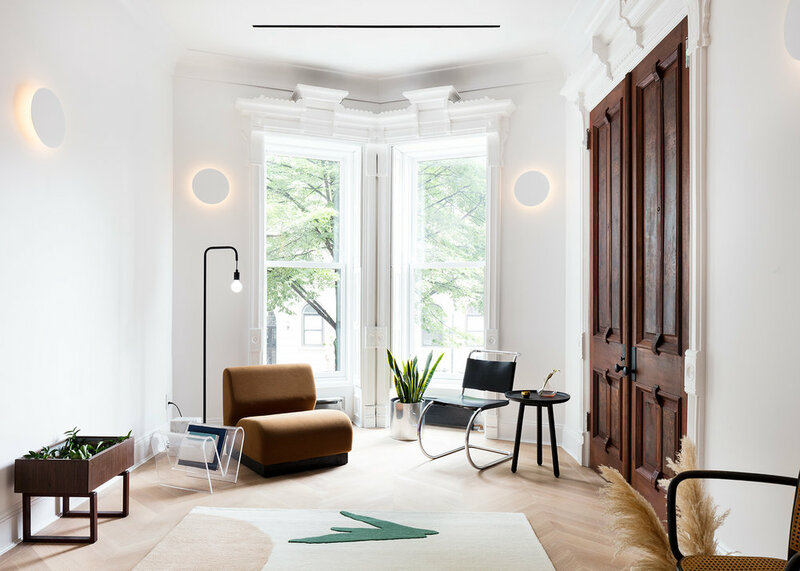 This Spring Hatchet Design Build completed an intricate your-long renovation of a stunning townhouse Brooklyn's Prospect Heights neighborhood. 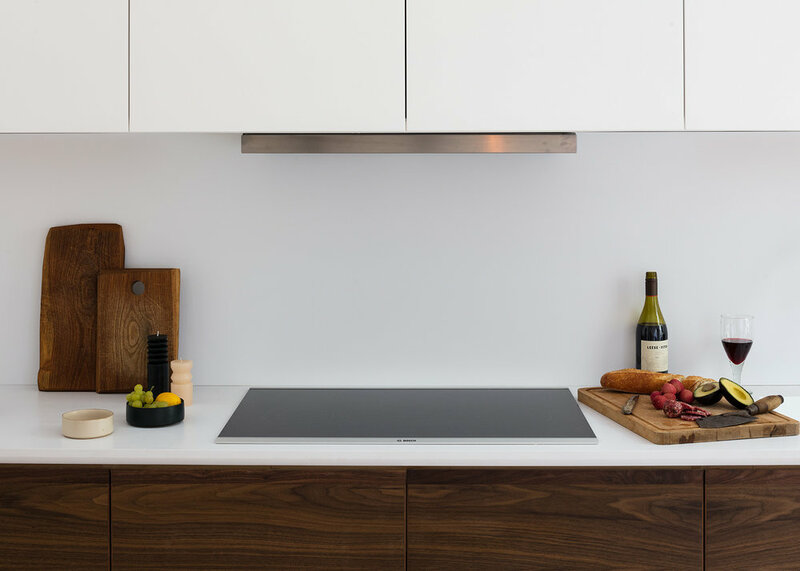 Seeking to capture the classic-meets-modern essence of the home, they teamed up with designer John Sorensen-Jolink of Coil + Drift to style the space. 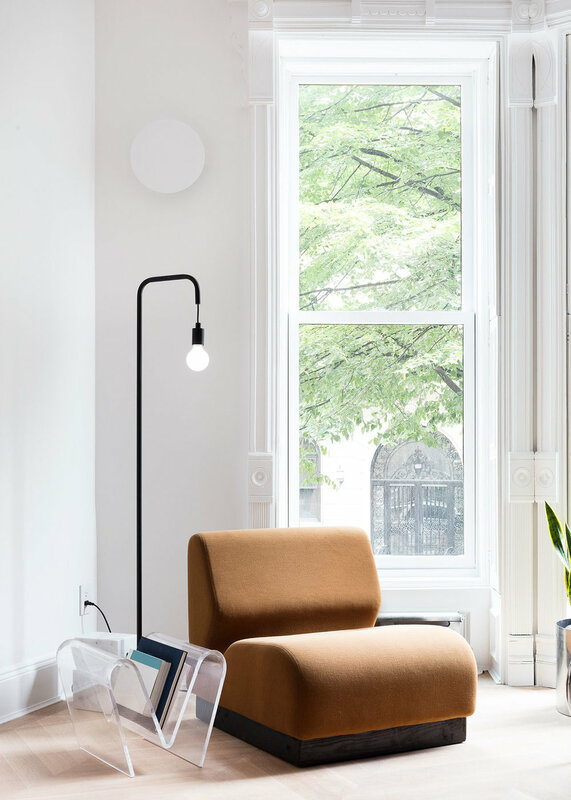 Working along side designer Pheobe Sung of Brooklyn studio Cold Picnic, Sorensen-Jolink styled the bright home using furniture and lighting from Coil + Drift's latest collection as well as vintage pieces from Williamsurg's Home Union and rugs by Cold Picnic. The result is an elegantly-edited space that feels inviting and fresh while showcasing the homes restored beauty. All photography by Nicholas Calcott. Unconscious Forms is a multidisciplinary project by Coil + Drift comprised of new objects, a live performance installation, and an original film by Charlie Schuck and Coil + Drift designer and founder John Sorensen-Jolink. Meet the Dancer Turned Furniture Designer Who Brings Static Objects to Life from Surface Magazine on Vimeo. _HOME UNIMPROV, a new series presented in collaboration with curatorial agency Hotel Particulier explores the performative home beyond the notions of function, comfort, and esthetic, as well as the influence that architecture and design have on the social constructs of our society. 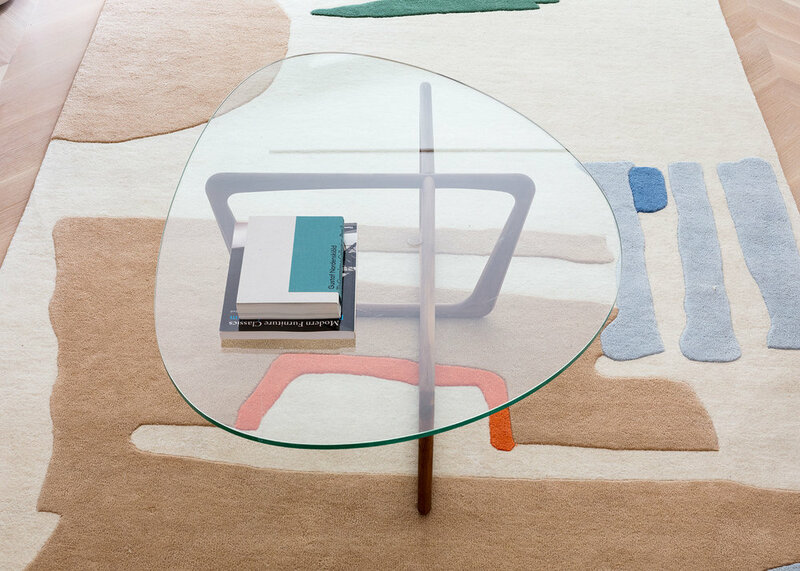 The first presentation featured the work of dancer-turned-designer John Sorensen-Jolink, founder and designer of Coil + Drift and took place during the 2018 NYCxDESIGN. _HOME UNIMPROV featured Unconscious Forms, a 3-channel video installation exploring the body and its interaction with its designed environment through three sequences of choreographic dialogues, where the lines are blurred between human and non-human forms, subject and object, creator and resource. The video work was made in collaboration with photographer/videographer Charlie Schuck and features performers Marla Phalen and Stephen Xue with choregraphy, set and object design by Sorensen-Jolink. Alongside Unconscious forms, a collection of short digital editions was released exclusively on Sedition.